EVERGREEN, CO — I’ve been a fan of white-hat SEO for many years. After all, Google likes white-hat SEO, and from its early years, I have promoted Google for its accurate search results. In my opinion, the main reason for Google’s success has been that its team of engineers in the anti-spam department, headed by Matt Cutts, has worked tirelessly for many years to prevent spammers from exploiting SEO techniques in order to rank themselves above the competition, when those types of tactics don’t deserve Google’s approval. Matt and his team’s work has been no small task as new black-hat techniques are created on a daily basis by websites looking to shortcut their way to the top – at the expense of quality websites on the Internet. 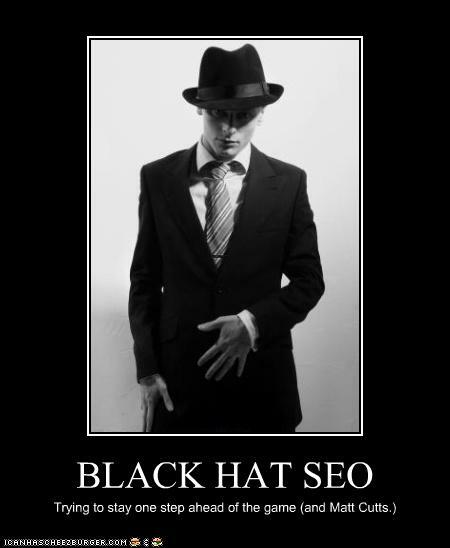 However, it surprises me that Google is still unable to detect old black-hat SEO techniques. For example, a few days ago, I was shocked to see one of our peers’ sites securing a #5 rank on Google organic results for “Best SEO” using (for the most part) black-hat SEO techniques. Interestingly, Google has known most of these techniques for years. So, I’m wondering how they get away with tricking Google. Matt… if you’re reading this, please write a post and let us know how this website slipped through the cracks of your genius team – especially that they’re affiliated with SEOmoz.org, which I’m really proud of for their great SEO software development. The site in question is: www.localseocompany.net. Keyword Stuffing: the site mentions “SEO” exactly 40 times. The term “best SEO” has been repeated 20 times. Excess use of H1 tags: there are seven H1 tags throughout the code of this page. Self-linking anchored texts: there are 21 links on this page using anchored texts that are linking to the page itself – thus sending Googlebot in circles. Interestingly enough, this page has ZERO inbound links (however, the root domain is very popular getting links from sites such as Adobe and SEOMoz.org). Leave your thoughts and comments; I’m interested to know what you think of this. Please note: I’m not going to report this page to Google for SEO malpractice – because I honestly think Google should have been able to detect it by itself. Our notes have been made only because we love Google and we want it to stay at the top of the game in regards to being the best search engine out there.